Alright folks! Here it is; the holy grail of raw vegan desserts! 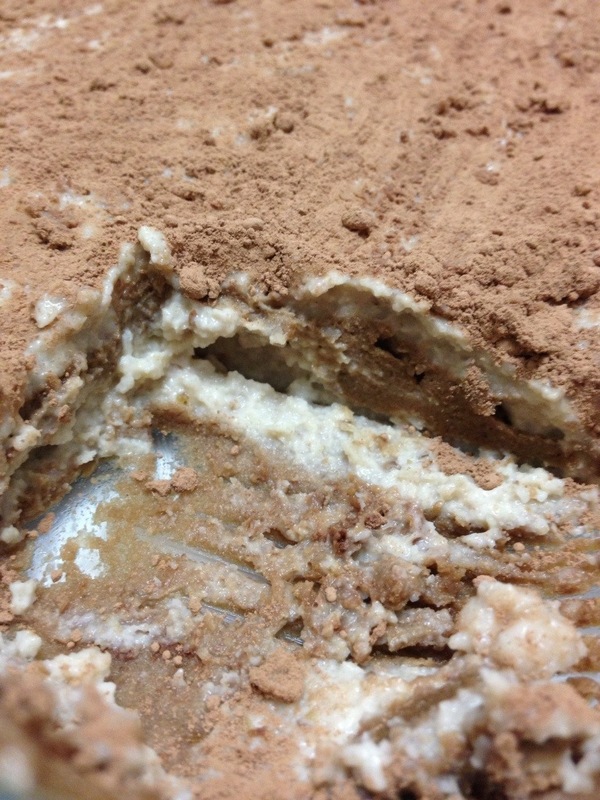 Introducing *drum roll* the raw, vegan TIRAMISU! So, Tiramisu has always been one of my all-time favourite desserts. Making it at home can be a bit of a daunting task (for me anyways), so I normally grab a slice whenever I frequent a great Italian spot. 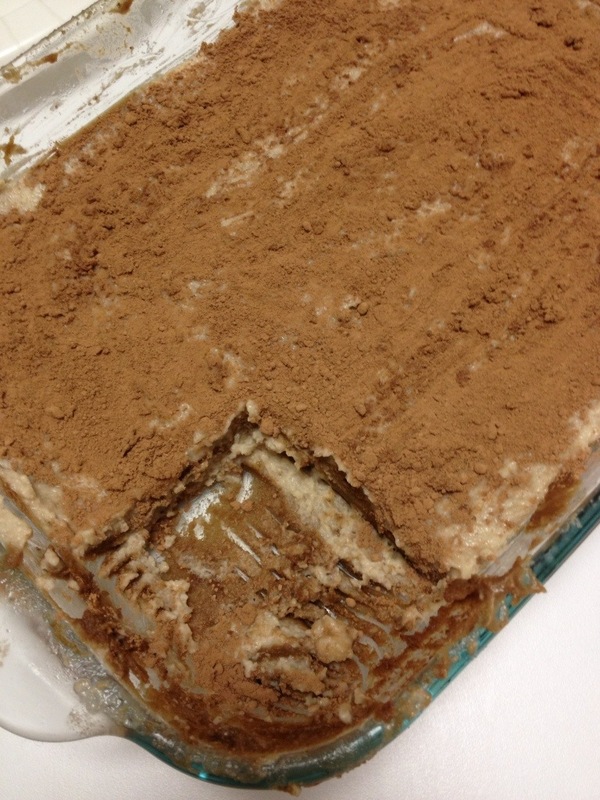 When is the last time that I’ve had a nice piece of tiramisu? Hmmmmm… Well it’s been a while, because ever since I realized that processed foods were upsetting my stomach, I’ve really tried to stay away from them as much as possible. That being said, I do know that the last time I had Tiramisu was at a less than authentic Italian restaurant and it left me feeling pretty blah. Anyways, am I the only person who LOVES Tiramisu? Does anyone else mildly obsess over it? Let me know, and also, please let me know how you feel abut this guilt-free, delicious remake! 1 1/2 tsp. coffee extract (or 1 tbsp. of instant coffee mixed with 2 tspn. warm water to make your own). Blend cake layer and cream layer separately and place in separate bowls. Taste cake layer, and if you feel that it needs a bit more coffee extract, add a small amount in and stir. 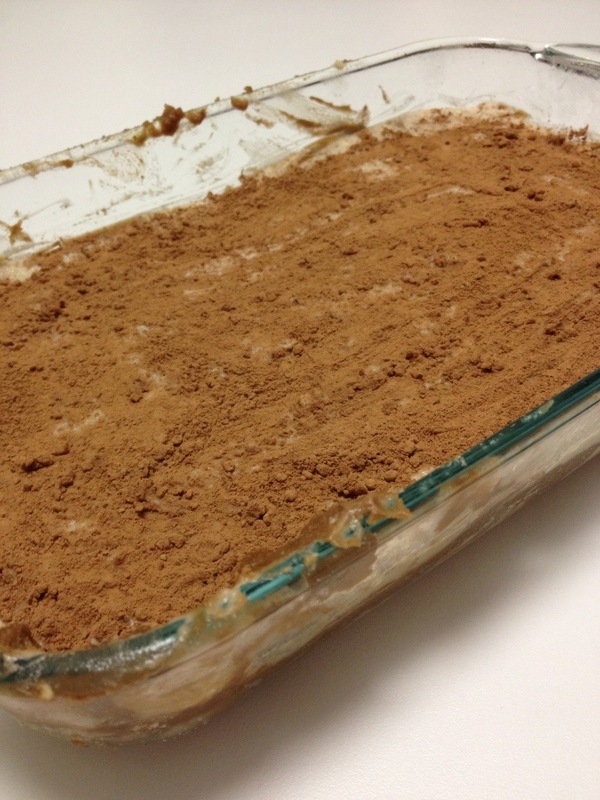 Place a layer of cake (about half of mixture) at the bottom of a small baking dish, then place in freezer until stiff. Then, apply a layer of icing and freeze until stiff. Repeat for a total of four layers. Gluten free, vegan and delicious! Gluten, oil, sugar, egg, dairy free!